Listing courtesy of Windermere RE Lane County. Tastefully renovated home located on a quiet street of well-maintained homes. Beautiful Oak hardwood flooring, arched doorways, coved ceilings and large living room with wood fireplace. Recently renovated bathroom. Kitchen features granite countertops, stainless appliances and formal and informal dining areas. Large corner lot with mature landscaping, fully fenced back yard, raised bed garden and beautiful flowering Cherry tree. 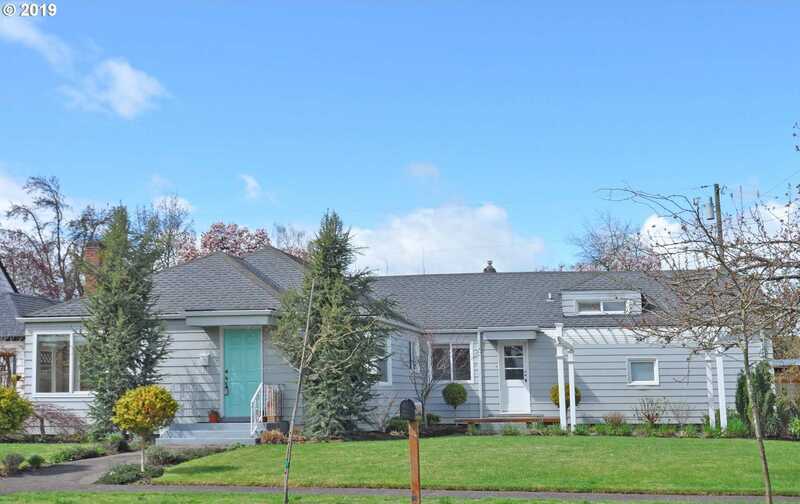 Please, send me more information on this property: MLS# 19124988 – $295,000 – 485 Laurel St, Junction City, OR 97448. I would like to schedule a private showing for this property: MLS# 19124988 – $295,000 – 485 Laurel St, Junction City, OR 97448. This content last updated on April 22, 2019 21:34. Some properties which appear for sale on this web site may subsequently have sold or may no longer be available. © 2019 Nick Nelson Real Estate. All Rights Reserved. Real Estate Website Design powered by Home Junction. The content relating to real estate for sale on this web site comes in part from the IDX program of the RMLS of Portland, Oregon. Real estate listings held by brokerage firms other than Realty ONE Group are marked with the RMLS logo, and detailed information about these properties includes the names of the listing brokers. Listing content is copyright © 2019 RMLS, Portland, Oregon. Listing content is Copyright © 2019 RMLS, Portland, Oregon.